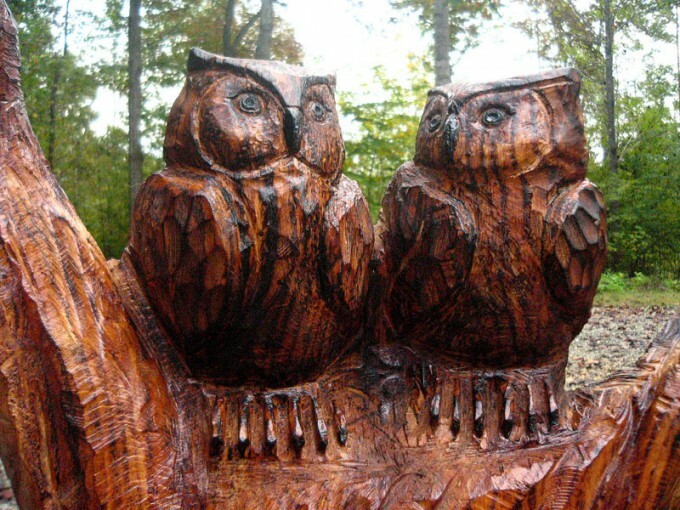 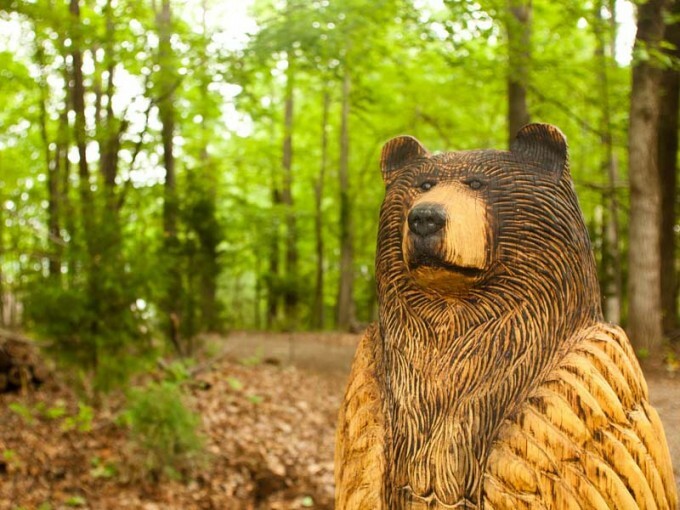 This 5 foot tall flying owl is Mark's latest large chainsaw sculpture. 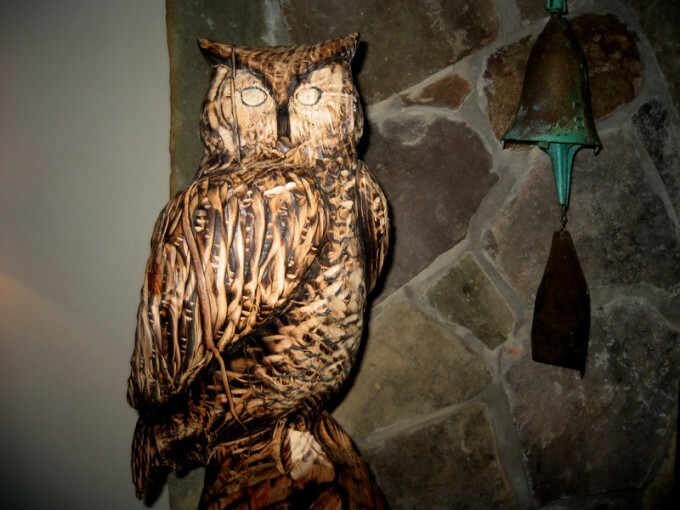 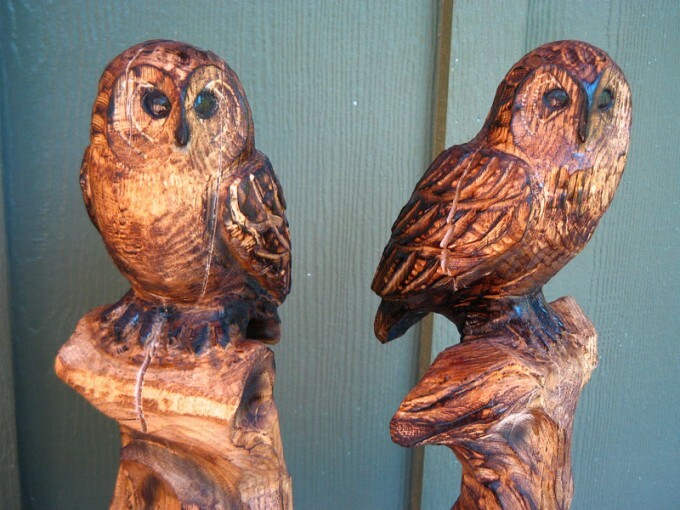 Carved from reclaimed Red Oak, the owl has burned and chiseled feather details, white accents around the face, and is sealed with a satin outdoor polyurethane. 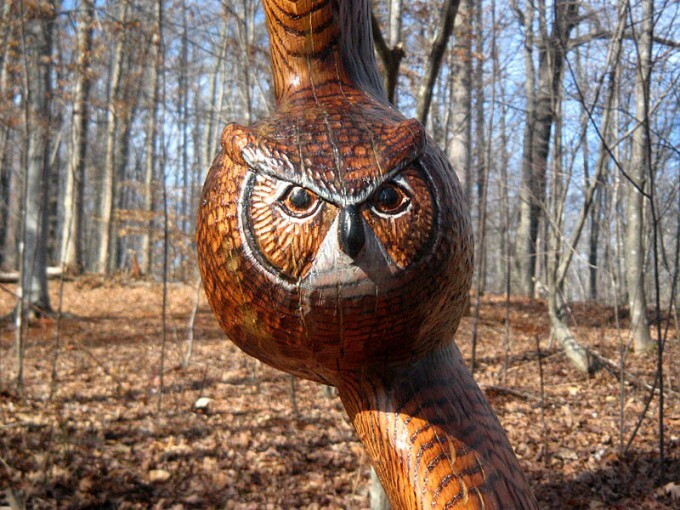 See more photos of the finished owl.